Itinerary: Windsor Castle, Oxford, and Stonehenge. This tour was pre-booked a couple a months before our trip. Our coach was leaving Victoria Coach Station and after rushing, getting lost, and running around the confusing, under construction area, we finally found our bus tour! Our tour guide was Russell and our driver was Ian. Russell was a short man with brown hair and a mustache. He was a stylish dresser with a brown jacket and suspenders. He noticed my TARDIS necklace and mentioned that the new season would premiere that Saturday. I’d see it when I got home the next week. Our first stop was Windsor Castle. While we were on the queue to get into the castle Russell took aside those in our group who had the London Pass to bring them to their entrance. With the London Pass you pay a fee, and then you get your own skip-the-line entrance at certain attractions because you already paid. As he was taking them aside a Windsor Castle employee asked if the group was with Russell. He responded that they were and that they had London Passes. She then proceeded to explain that they could go on ahead. Russell said that they were with him and he was taking them to their separate entrance and he would be back for the rest of the group. There was a back and forth exchange about this and then Russell said, “I’m taking them in.” The Windsor Castle employee was taken back and widened her eyes at his tone. Here are a few small things Russell told us about Windsor Castle. George IV was very vain and built ornate castles. He rebuilt Windsor. It had many styles over the years and the one we see today is from the 1820’s. George IV was a terrible drinker, gambler, lover, and king. Windsor Castle is the home of the Queen today, when she is not spending the summer in Scotland. The Round Tower is not open to the public because she keeps her archives and private art collection there. She has many drawing from Leonardo da Vinci. I am jealous. After going through security we went straight to St. George’s Chapel. We needed to be back at the bus by 12:15 so this would be the express tour. On our way to St. George’s Chapel we encountered the changing of the guard. It’s a long ceremony so we just took a few photos, and I took some video. 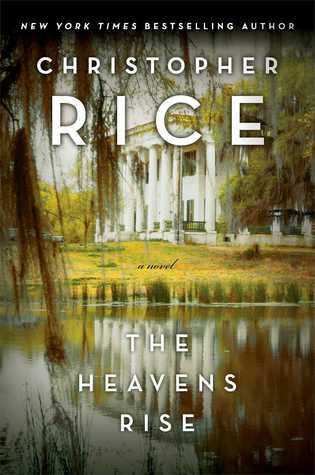 For a mystery novel The Heavens Rise is really straightforward. There are no drawn out plot twists or turns. The reader can easily know what is going on. There is a touch of a supernatural element, though I feel the “mind monsters” where introduced too late. Itinerary: East London – St. Paul’s Cathedral, St. Bride’s Church, Fleet Street, Blackfriars Bridge, Millennium Bridge, Shakespeare’s Globe, London Bridge, Tower of London, Jack the Ripper tour. This was such a long, long, long day that I am going to do my best to summarize it as much as possible and just going into the highlights. I planned the day to start at St.Paul’s and by the evening end up at Tower Hill tube for the Jack the Ripper tour. First there was weekend construction in the Underground and we had to figure out a new route to St.Paul’s Tube station. I really love the huge advertisements they have in the subways. I already saw The Rover and What If in NYC, but if we had more time I would have liked to see what the cinema experience is like in London. I am surprised Daniel’s movie was not titled The F word. I thought it was changed to What If only for the US market? It’s Harry and Cedric across the hall from each other!